La Salon De La Moda was such a publication, that featured a 11 X 17 format folio and an over size pattern sheet from which the pattern were tra ced. While there is not a broad depth of information on this magazine, the publishers were Montaner & Simon – one of the most important publishers in Spain. 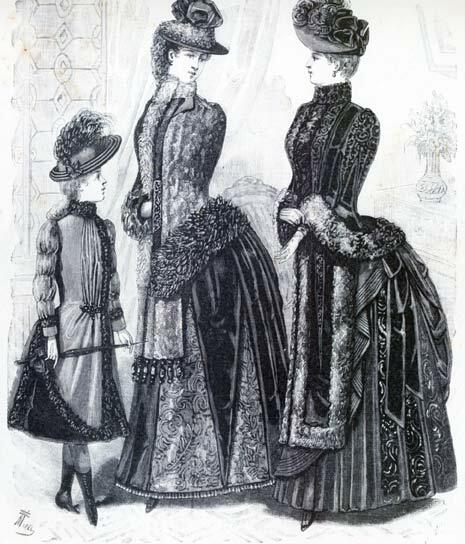 The magazine was published from about 1884 through 1913. And one mystery issue which is noted as Volume 5 – but with no publication date. If it follows the system as above – volume 5 would be from 1888. The pattern sheets are of an interesting type of paper. Rather than the same newsprint as the magazines (which Harper’s and La Mode used) the paper is a semi-transparent red – with a waxy or glossy finish on it. Heavier than onion skin – but not as heavy as newsprint. 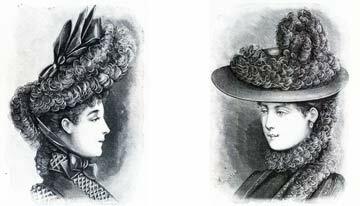 The pattern sheet is printed both sides as is usual with these sort of publications – with a cutting guide to the pieces, but no instructions for sewing. A template of all the pieces on the sheet is provided. 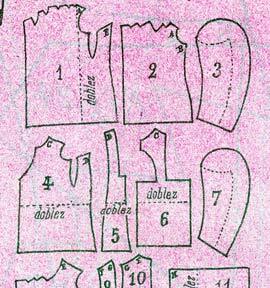 Pieces for bodices are given but no patterns or diagrams for skirts are included. 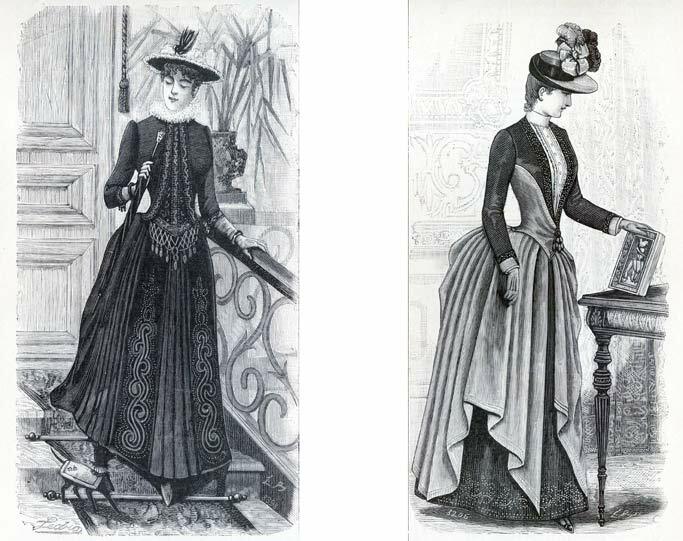 In general the art work and fashions depicted are not as elegant or as well defined as those in La Mode Illustree from the same period – though it is clear that the target audience for this publication would have been the same as that of La Mode or Harper’s. 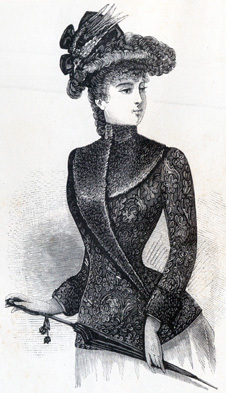 This entry was posted in Library Archives and tagged 1880, 1890, Archives, Spanish Fashion.